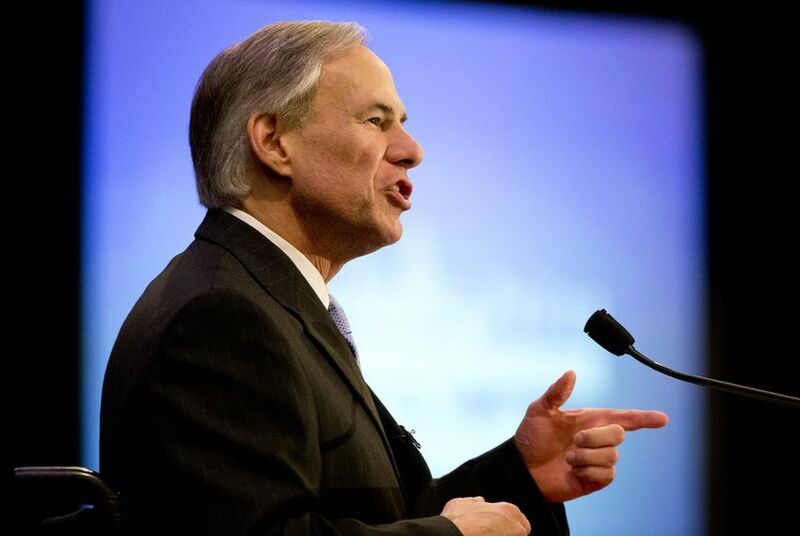 Announcing the first of his education policy proposals Monday, Greg Abbott called for reforming pre-kindergarten programs before expanding access, saying that additional funding should be tied to academic outcomes. The Democratic gubernatorial contender's plan, which proposes that school districts across the state offer full-day pre-K programs beyond the three hours a day the state already funds, pivots on her push for further restoration of $5.4 billion in spending cuts made by the Legislature in 2011, which included a cut of more than $200 million to the state’s Pre-K Early Start Grant program. The fund, which the Legislature created in 2000, had funded pre-K expansion in schools looking to extend their programs. The lawsuit was filed against the state by a coalition of more than two-thirds of Texas school districts, which claim the state’s funding system is inadequate. As Texas' attorney general, Abbott has represented the state in the lawsuit. In the proposal he announced Monday, Abbott said that “very high quality” statewide half-day pre-K must be achieved before the Legislature mandates full-day programs, leaving the decision to expand pre-K programs to local school districts, which can do so through federal funding or municipal bond packages. On Monday, Davis was quick to respond to Abbott’s call for reforming pre-K instead of expanding access. Earlier in the day, Davis also attacked Abbott before he released his proposal, calling his policies hypocritical given his defense of the state in court as part of the school finance lawsuit. The Abbott campaign did not respond to a request for comment on Davis’ statements. Abbott’s plan also focuses on improving literacy and math scores in Texas schools through professional development and the creation of teacher “academies” that mirror the Texas Reading Initiative, created by then-Gov. George W. Bush, to help boost performance scores by providing additional training for teachers who teach kindergarten to third grade at a cost of $15 million per year. Abbott is expected to release additional education policy proposals related to public education and higher education in the coming weeks.